NFL star Russell Wilson is out in Paris enjoying Paris Fashion Week with his lovely lady Ciara. 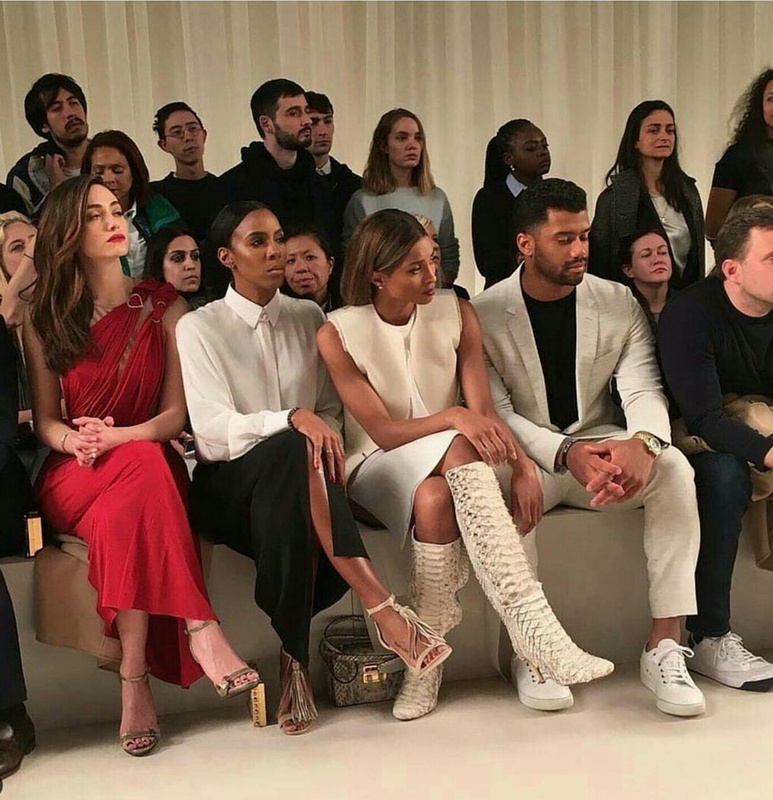 Russell was photographed yesterday front-row at Lanvin Fall’16 show with Ciara, and R&B singer Kelly Rowland. For the show Russell opted for a neutral suit he paired with a basic crewneck t-shirt, and off-white sneakers. Are you a fan of the look? STYLE: Victor Cruz Attends Dior Homme & Lanvin Fall 2014 Shows For Paris Fashion Week STYLE: Russell Westbrook, Serge Ibaka, & Victor Cruz attend Paris Fashion Week Rick Owens Spring/Summer 2015 Runway Show Men’s Style: NFL Star Victor Cruz Attends Paris Fashion Week STYLE: NFL Brice Butler Attends Berluti’s Paris Fashion Week F/W’16 Show. STYLE: NBA Andre Iguodala, Russell Westbrook And Amare Stoudemire Attend Paris Fashion Week Summer 2016.